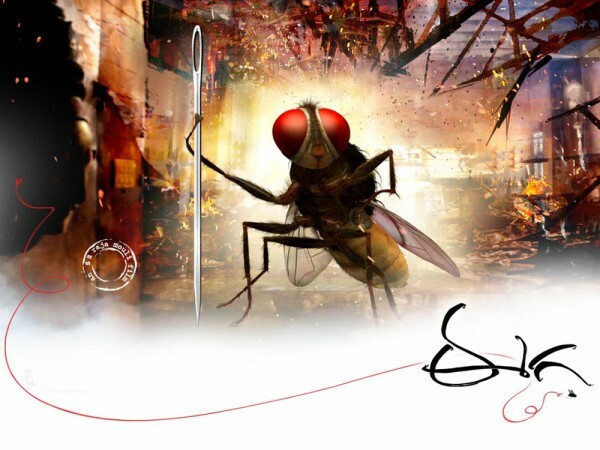 When SS Rajamouli announced that he is going to make a revenge saga of a housefly and that too not on the lines of Bug’s life, I was appalled to say the least. Now how can a tiny insect attempt to kill a man? Even if he had chosen the blood sucking mosquito as his protagonist there could be some plausibility to the idea. But this is from the director who convinced everyone south of vindhyas of a warrior who could fight and win over 100 soldiers at a time. SS Rajamouli the director with the Midas touch sure must have known what he was doing. The end result is a buzzy little creature called Eega (House-fly) that could give bumblebee a run for its honey at being audaciously capable of doing the impossible. In its screen time of 2 ¼ hours, Eega not just defies almost all laws of nature, but also breaks tons of clichés associated with a masala film while proudly being one. For one, though the title role of Eega is the star of the film, the film relies primarily on its antagonist’s angst against the petite fly, portrayed menacingly by Sudeep (known to the hindi audience through Phoonk). Notwithstanding the fact that his role is modeled on the character Raghuveer (from Magadheera – another Rajamouli film) Sudeep is able to infuse a different persona which effectively evokes sympathy for computer generated Fly. While Sudeep gets to be a livewire, Samantha unlike the heroines in a superhero/masala film gets to be more than the trusted aide to the efficacious fly. This is a far cry from the heroines of the director’s previous films, who were deployed mainly to paint the screen with voyeurism. (Rajamouli is the man behind the original version of now successful Rowdy Rathore). For a movie that revolves around three principle characters, SS Rajamouli should be applauded for intelligently intertwining their actions which tests one another’s strengths and weaknesses, to move the plot forward. But for a movie that is targeting all ages, it is unabashedly gory, a point that parents of toddlers should think over before taking them to the silver screen. Not only that, the glorified-immature romance that play out in the first few minutes of the film lurks us back to the films in 80s, where men were loafers pursuing the job of wooing the heroine. These slight glitches apart, SS Rajamouli can be proud of creating a fantasy film without compromising on the indian sensibilities, that is going to make film lovers throughout the world turn their attention towards India and indian cinema. In line with the famous tamil saying, SS Rajamouli & his Eega have certainly proved that ‘Vallavanukku pullum ayudham’ (even a grass is a weapon for the victor).